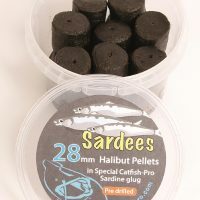 Pre-drilled halibut pellets glugged in a special squid flavoured formula to use as hookbaits for catfish. The extra attraction of the glug helps make the fish take your bait first! 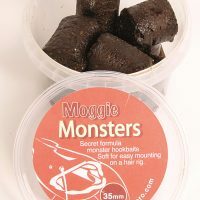 Supplied as approx 300g of bait in a handy tub. Size 20mm and 28mm.